After a viral outbreak that turns all “organic” (i.e. real) dogs into vicious, hyper-intelligent creatures, robotics company Mechanical Tail creates robot dogs for families. Nano Miller’s family lives on Dog Island, where the robot dogs are made and home to the last remaining living dogs. While helping with her mother’s work, Nano finds an organic puppy that doesn’t seem to be hostile to humans, and in trying to save its life she sets off a chain reaction that leads to her FINALLY discovering what happened to her missing brother and the truth about Mechanical Tail, Dog Island, and everything she has been taught to believe is true. This short books clocks in at only 208 pages, and skirts the line between science fiction and speculative fiction. 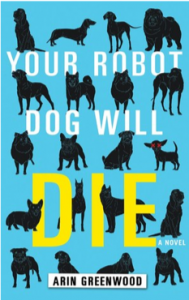 Your Robot Dog Will Die has a bright, eye-catching cover and illustrations of dogs throughout, and is sprinkled with increasingly desperate advertisements from the Mechanical Tail dog company which provide short intermissions from the text. Some characters are more well-developed than others, but the terminology and setting descriptions are concise and easy to grasp. 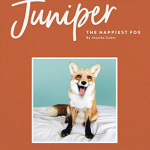 A budding romance, sibling camaraderie, and a strong-willed, warm-hearted main character add to the interesting subject matter to create a unique story well-suited to reluctant readers. Teens who enjoy Your Robot Dog Will Die may also enjoy Landscape with Invisible Hand and other titles by M. T. Anderson, as well as quirky stories like Libba Bray’s Beauty Queens and selections by Andrew Smith. Mei’s life is completely planned out. She will be pre-med and become a doctor, marry the Taiwanese boy her parents have picked out for her, and basically be the perfect daughter. The problem with this plan is that she is afraid of germs, has fallen for a Japanese boy, and has disobeyed her parents by reconnecting with her estranged brother Xing. 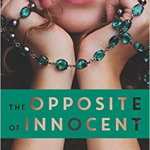 The story follows Mei at her freshman year at MIT as she struggles with trying to find a way to please her parents, but also live the life she wants and not the life that has been planned for her. 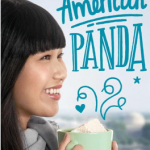 American Panda is a fast paced read with great characters. 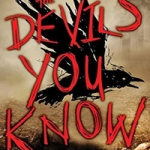 There are enough new plot points to keep the reader interested and entertained throughout the novel. 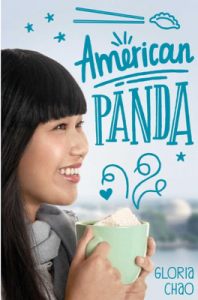 The family dynamics are key to this story and keep the reader emotionally invested in Mei. Teens will be inclined to be sympathetic to Mei and her overbearing parents, although her parents do tend to take helicopter parenting to a whole new level. Teens who enjoyed the family dynamics and romance of When Dimple Met Rishi by Sandhya Menon will enjoy this novel. Also teens who watch the Freeform TV Show Grownish will appreciate the college experience portrayed in this book.